It appears that Jack Nicklaus wishes the US team would quit fretting about overcoming Ryder Cup pressure and concentrate on winning majors. 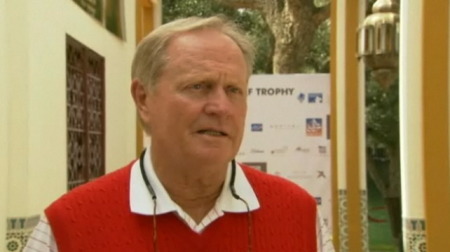 “My feeling on that is that it goes in cycles,” Nicklaus said when asked about the dinner he hosted for some 25 potential US Ryder Cup players at his Palm Beach home last Thursday evening and the anxiousness of the Americans to end European dominance in the event. “It is a great honour to represent your country and it is a great honour to be part of an international team, but it is supposed to be fun. “I said, ‘Can you tell me who won and lost the matches in the last Ryder Cup?’ Not at all. Can you tell me who won the last four majors? “It is not that big a deal. I know you want to play your best but take it as a game you prepare for and have fun. Padraig Harrington agrees with Nicklaus that the results are cyclical. "Look, at the end of the day, these results are circumstantial," Harrington said last week: "We are having a good run, the US aren't, everybody is trying to find an answer. I don't think it is as measured as you think it could. "In Europe, we have a little chip on our shoulder — a point to prove — being the underdogs. We need it more than the US. Maybe now the US needs it a lot as well. For the last 20 years, we've needed to win the Ryder Cup to justify our status. We are the country cousins and we want to prove ourselves. Now, we are putting it up to the US." Harrington: "There is one way into the Ryder Cup at this stage and that’s winning a major"
Pádraig Harrington refuses to throw in the towel and still believes he can turn it all around. Ryder Cup? Why not? It would simply be a by-product of achieving one his goals. "There is one way into the Ryder Cup at this stage and that’s winning a major." When it comes to the Ryder Cup these days, Love is clearly not all you need, especially if you're American. Jack Nicklaus insists that US Ryder Cup skipper Corey Pavin “would need a brain scan” if he leaves Tiger Woods out of the side that will defend the trophy at Celtic Manor in October.